we got our sweet girl daisy here when she was about 1 in 2014. the staff was incredibly helpful and super kind when it came to finding the right fit. 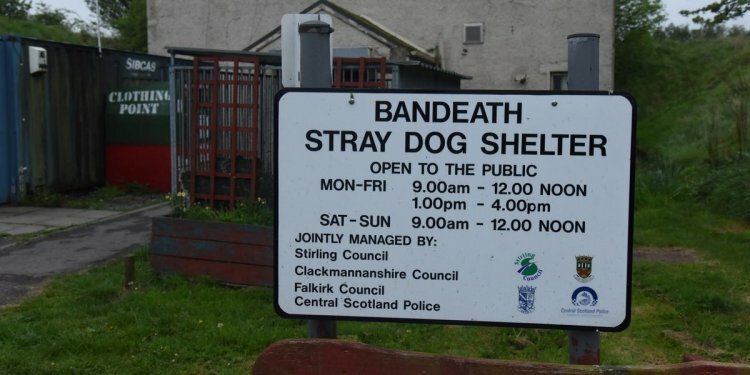 it's a public shelter. be patient and you'll get what you need. Got my first dog here when I was 12. She had a few health problems but we sorted it out with our vet and she has been healthy ever since. She was 8 months old when I first got her and now she is 8 years old. She has been one of the greatest things to ever happen in my life and I'm so happy we got her. She was afraid and about 8 lbs and had some fleas back in 2009 now she is 12lbs full grown and full of life all the way in 2016. Thanks so much! At the end of July we "adopted" a wonderful dog named Marjorie at FAAS. We were told that she came from Oakland shelter. The adoption process was smooth. She appeared to be well cared for as did the other dogs that we saw. The staff that we dealt with that day were excellent. We were told to come back on Wednesday to pick her up. It was very busy, but we finished her paperwork and headed home. A day or two later I was reviewing the paperwork and realized that we did not receive paperwork on her chip which should have been included. Called and they said..."funny we can't find anything on it. I see that you have an appointment at your vets. Ask them to scan her. If there is no chip, bring her in and we will chip her." We took her in, great bill of health, they scanned her and did find a chip. They gave us the number. We called FAAS. They gave us a number to call for Home Again to transfer ownership. Imagine our surprise when I call and find out that according to their records she has an owner on file. She was not registered to the Oakland Shelter or Alameda Shelter. We called and left a message at FAAS to get back to us because the dog showed registered to someone else and wanted them to take care of the paperwork. We heard nothing, called back and still did not get a call. I emailed our paperwork to Home Again following what they had instructed me to do. This was on August 16th. We heard nothing until Tina called on September 14th saying that she had bad news. Marjorie's owner did not want to transfer her. We went directly to FAAS to talk and turn Marjorie in. They apologized for all of the errors that occurred. The owner had been on vacation and the dog got spooked by fireworks on July 4th where she was staying. She did not find out for a week that her dog was even missing. :( The dog was at the Oakland Shelter, but they had not found the chip. Found out that it was not a FAAS process to call to make sure the dog was registered correctly when coming from another shelter. Was told that it is common that chips can't be found. Found out...that sometimes it can be hard, but not impossible to scan and find chip. Too many coulda, woulda, shoulda s... A common theme was being short handed. I understand that the shelters run on a shoe string budget, but there needs to be practices in place to check/double check chips. It doesn't give me hope that another Marjorie might be so lucky or that another dog has not gotten back to their owner. It breaks my heart to think that this sweet dog who had a wonderful owner who loved her and helped her grown into an amazing dog could have never seen her owner again and they were in our back door. Why have a chip? If the dog had any indications of abuse, we would have fought; however, all we saw with Marjorie was love. We are happy that this wonderful furry friend is with her momma and hope that FAAS and Oakland put some new processes in place to help dogs get back to their homes. PS - we would babysit for her any time. :) We had been to Oakland Shelter and looked at dogs two weeks prior. We had asked to see two dogs and they were never brought out. We finally left. We believe that one of them was Marjorie so I am glad that we saw her at FAAS.